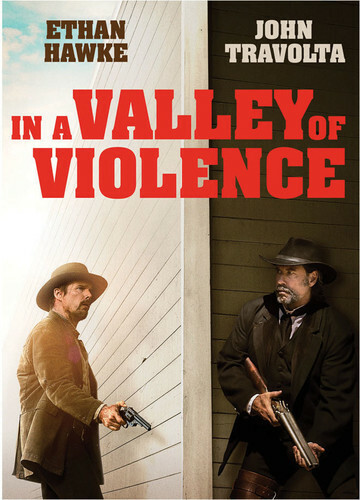 Ethan Hawke stars as Paul, a lone drifter who wanders into the forgotten town of Denton, Texas - dubbed by locals as the "valley of violence." There, he picks a fight with the wrong man, Gilly (James Ransone), the troublemaking son of the town's unforgiving marshal (John Travolta, Pulp Fiction). As tensions arise between Paul and Gilly, an inevitable act of violence starts a disastrous chain reaction that quickly drags the whole town into the bloody crosshairs of revenge. Only the world-weary marshal struggles to stop the violent hysteria, but after a gruesome discovery about Paul's past... there's no stopping the escalation.